Reducing acidity in your diet is important to maintain your health. Make sure to watch the alkaline and acidity balance of your diet. In the video below, Teshia explains how you should eat greens, beans, and grains to balance the coffee and animal protein that you consume. She notes that acidity and disease have been correlated. You don’t have to only eat greens, but use them to balance the acidity you gain from pollution, coffee, or animal protein. Alkaline foods should comprise most (75-80%) of your diet. Reducing acidity in your diet starts with eating the right foods. Eat salads, fresh vegetables, healthy nuts and oils, and plenty of raw foods. Drink at least 2 liters of water. Acidic foods may comprise the other (20-25%) of your diet. 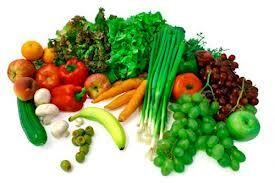 Avoid eating too much meat, dairy, cheeses, chocolates, alcohol or your blood will become acidic. Beware of the hidden acidity in microwaved meals. Know anyone who can benefit from the Reducing Acidity in Your Diet advice?